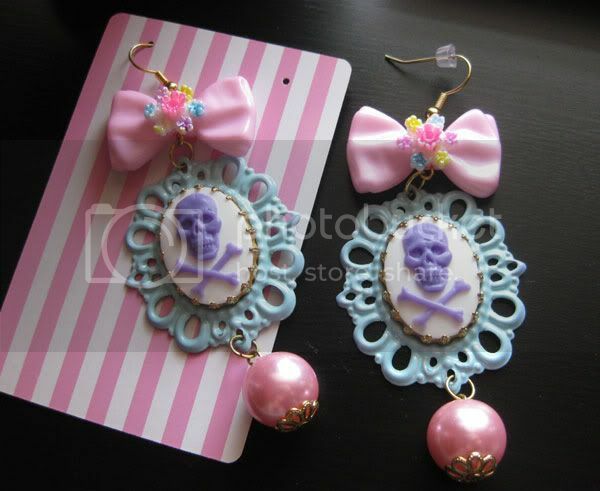 A friend on Facebook recommended this Etsy shop to me and I was instantly hypnotized by all the cute pastel colors and smatterings of skulls. 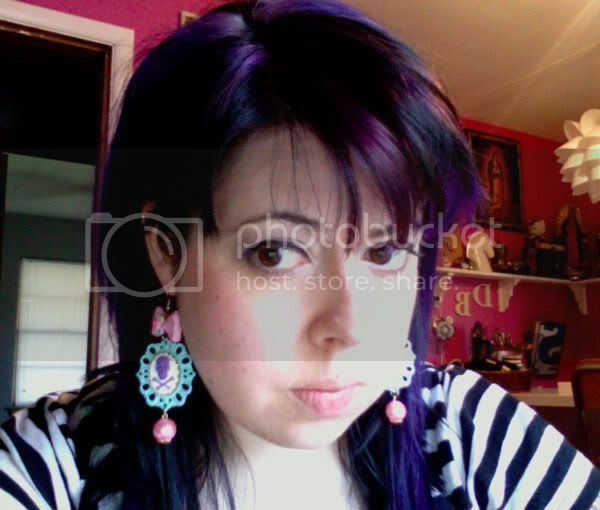 I bought these earrings (you know, quality control, had to make sure they were good, right? ha ha - they were.) and I think they are awesome. 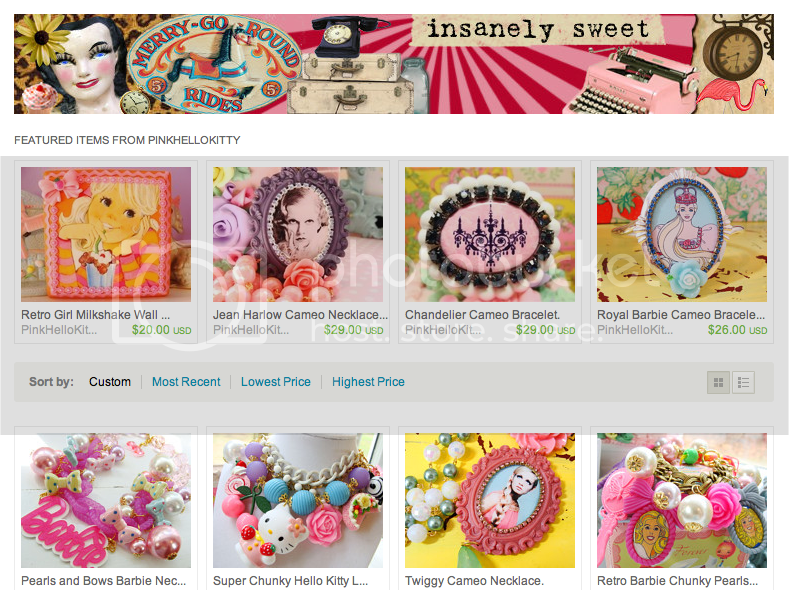 The shop is searchable by the original name: PinkHelloKitty, but she mostly goes by the name "Insanely Sweet," which is also the name of her blog. You can also click on the screenshots below to take you to her shop or blog, respectively. I think what I most love is her Betsey Johnson-esque vibes. Since Betsey is one of my all-time most favorite designers, anything that reminds me of her is cool with me! Not that you need an excuse to do more shopping, but celebrate summer by checking out her shop and/or blog. There's always lots of fun to see! oh my gosh! Thanks for writing about my shop- the earrings look gorgeous on you, would you mind if I added the photo to my customer section on facebook? @Cherry & @Pixie - Thanks! @Insanely Sweet - Please go ahead and post it to the FB page! I love doing that with my customer photos, too! arghhhh i need these! because we are sisters, maybe you could lend me them? haha. i wish! Thanks ladies! I'm hoping to make some new items this summer now that I'm off, and I'm hoping to make mine just as cute! @Donna - you crack me up! Too bad I don't have a real-life sister, so I'm not used to sharing! Seriously though, it'd be awesome if we lived closer!